From camping barns in Penzance to large cottages in St Ives, Group Accommodation has a wide selection of large holiday cottages in Cornwall perfect for big groups. We specialise in big group accommodation that caters for families and friends wanting to get together but who have struggled in the past to find the perfect location that caters for groups of 10+. Cornwall is a popular destination for group travel and boasts stunning beaches and a relaxed pace of life, ideal for short breaks as well as for those wanting to escape it all and book some of the biggest holiday cottages in Cornwall. Whether you're looking for large holiday lets for a group surfing holiday in Newquay or a family gathering in Bude, you'll find it right here at Group Accommodation. Penleaze Farmhouse is a luxurious and comfortable 5 bedroom house. 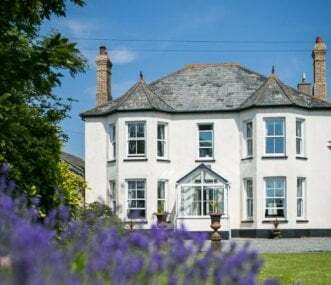 This spacious, old Victorian farmhouse is located in an idyllic, rural location near Bude on the spectacular North coast of Cornwall. Cosy but spacious cottage sleeping up to 12 guests in 6 bedrooms and offering a feature sitting room, large kitchen, dining conservatory and outside seating and barbecue area with hot tub. The lodges lie within 20 acres of wooded parkland in the beautiful Tamar Valley, an AONB. They provide ideal group accommodation for large parties, sleeping 12(+4), with 2 hot tubs and use of pools. Court Farmhouse is the perfect venue for family or group holidays. 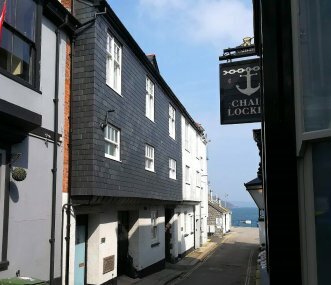 Located in the centre of a picturesque village, right opposite the village pub and 2.5 miles inland from the local beaches. Stunning 5 bedroom, luxury property sleeping up to 14. 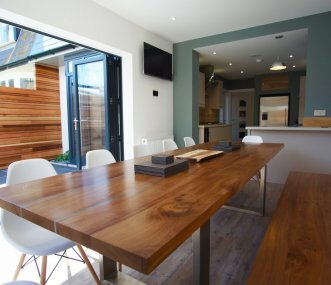 Located a stone's throw from Fistral Beach and Newquay's restaurants, bars and bistro's... perfect for guests looking for a high end experience. Very unique! Great character with fabulous water views and excellent amenities. Beaches 10 mins by foot. Rest of west Cornwall coast about 30 minutes drive. All en suite and renovated. Sleeps 12+2. 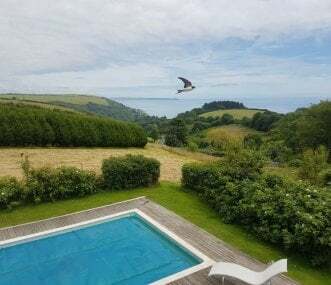 Cornish villa sleeping 13 with stunning sea views and private heated outdoor pool surrounded by 32 acres of vineyards and farmlands. Ideal for family get togethers and special occasions. The Bluff enjoys magnificent views over the Atlantic and surrounding unspoilt coastline. Only a short walk down the coastal path to a beautiful beach, perfect for surfing and sandcastles! Two stunning barn conversions 4 miles from the unspoilt North Cornwall coast. Great for family and friends gatherings. 6 bedrooms. All can eat together in the Cob. Cots available. Cosy wood burners. National Trust bunkhouse between Newquay and Padstow with spectacular view of the sea. Situated close to the South West Coastal Path this is the perfect base for exploring north Cornwall's coastline. If you think of holiday cottages in Cornwall, your mind immediately evokes images of rolling coastlines, open space and bucolic idyll. At Group Accommodation, we work hard to fulfil those dreams and as specialist large group holiday company, we are dedicated to bringing you the best large group holiday cottages and houses. We are confident that as you browse through our selection you will find the perfect home and location for your break. We find it hard to pick our favourite location in Cornwall for a short break. The choice in group accommodation is huge. We try to make picking from our list of over 60 Cornwall holiday rental cottages easier for our visitors by providing not only detailed property descriptions and rich images, but also thorough listing on activities that are available near our holiday cottages in Cornwall. By using our map functionality, those searching for holiday properties, be that for short weekend breaks or a full blown week or more holiday or reunion, can drill down to the specific part of Cornwall that most appeals to them. 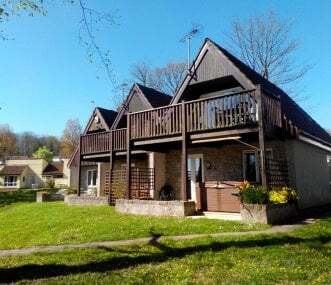 Our large group holiday cottages are dotted around the county allowing you to immerse yourself in the Eden Project, dive into the naval history of Plymouth, wander the beaches and rugged cliffs that surround Cornwall or just escape to the huge and peaceful countryside in the luxurious comfort of your holiday home from home. Our selection of accommodation for large groups is unrivalled and our holiday properties are handpicked so you can be confident that we have a large holiday home to suit your specific requirements. 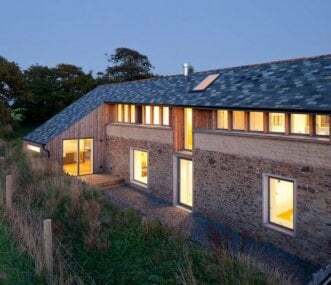 Our portfolio includes impressively large holiday cottages in Cornwall but we can also accommodate large group accommodation in our luxury barn conversions, lodges and manor houses. Searching for group accommodation needn't be stressful. 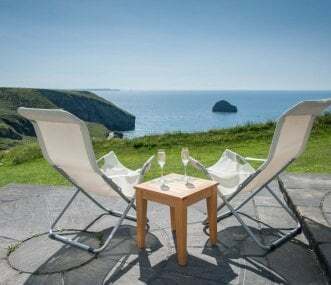 We take all of the hassle out of booking accommodation for large groups with our hassle free service that collates the best holiday homes on offer in Cornwall. Enjoy Cornwall to the full in a big holiday home that ticks all of the boxes.